Field of view 262ft@1000yards. Close focus 32.8ft/10m. Exit Pupil 4.1mm. Prism Glass BK-7. Porro prism design. Shock absorbing rubber armor. 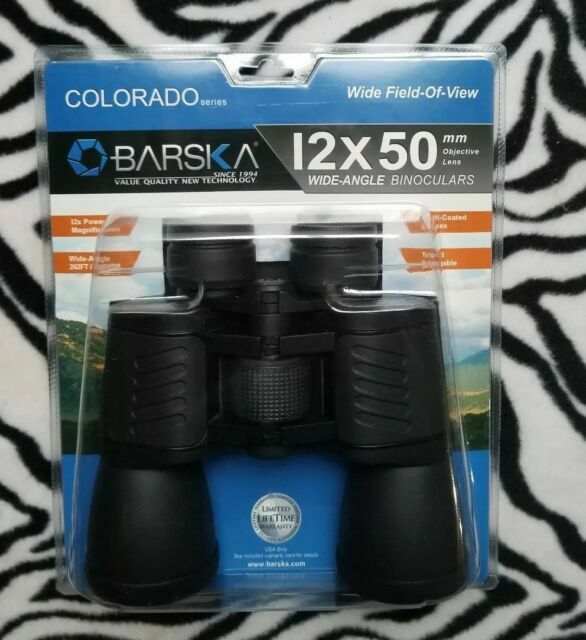 7-1/2" x 7" x 3"
item 2 Brand New Pair of Barska Colorado 12x50mm Binoculars, CP12753, FREE SHIPPING!!! -Brand New Pair of Barska Colorado 12x50mm Binoculars, CP12753, FREE SHIPPING!!! Excellent value in birding binoculars. These are great birding binoculars for the price. 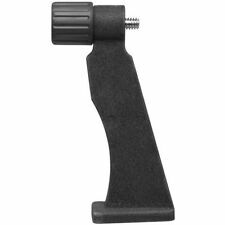 Good clear view with a great magnification.